The Taylormade OS CB (Oversized) range features larger than standard heads, that increase stability throughout the stroke and impact. 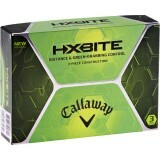 This allows for a smoother, on-plane putting stroke which is the key to holing more putts. This is largely down to a higher MOI that prevents twisting at impact, especially on off centre strikes. A higher raised alignment aid makes aligning the ball much simpler at address, allowing for full concentration to be on the putting stroke. Raised high contrast sight line for easy alignment. High MOI for a much smoother stroke. Centre balanced models provide even more stability throughout the stroke. 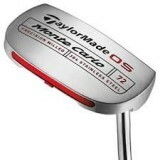 Click the button below to add the TaylorMade OS Putter Monte Carlo Superstroke Grip to your wish list.